In 2015 Christopher sang the title role in Cedar Rapids Opera Theatre’s production of Don Giovanni, Sandro in American Symphony Orchestra’s production of Mona Lisa at Carnegie Hall and the title role in Eugene Opera’s production of Sweeney Todd. This was followed by Bach’s St Matthew Passion with the Bel Canto Chorus of Milwaukee and Antonio in the world premiere of Joseph Summer’s The Tempest with The Shakespeare Concerts. In the fall he sang concerts with Salt Marsch Opera, Arias and Barcarolles with Copland House and “A Continental Cabaret” with Opera Saratoga. He then ended the year in Boston with a workshop of the opera Gilgamesh at the New England Conservatory of Music. 2016 engagements included a return to the Omaha Symphony for the chamber work American Muse, a workshop of Jorge Sosa’s La Reina as part of Prototype Festival and a Valentine’s Recital with wife, Avery Boettcher in Pikeville, Kentucky. In the spring he performed the roles of Victor in Buried Alive and Producer in Embedded with Fort Worth Opera as well as Mozart’s C Minor Mass with Orchestra Now at Carnegie Hall. In the fall, Christopher sang the title role in the opera Gilgamesh by Paola Prestini’s as part of the Ouroboros Trilogy produced by Beth Morrison Projects and Friends of Madame White Snake in Boston and then returned to Boston to perform the roles of Dad, Café Manager, and Police Chief in Boston Lyric Opera’s production of Greek. Last year Christopher performed the Governor/Innkeeper in Man of La Mancha with Indianapolis Opera, Priest and Angel of the Agony in Elgar’s The Dream of Gerontius with The Orchestra Now, Raphael in Haydn’s The Creation with the Bloomington Chamber Singers and both Carmina Burana and Creon in Stravinsky’s Oedipus Rex with the Washington Chorus at The Kennedy Center for the Arts. Last summer he returned to Opera Saratoga to sing Larry Foreman in The Cradle Will Rock and Sander in Zemire et Azor and then traveled to London to record Arnold Rosner’s The Parable of the Law with the London Philharmonic for Toccata Classics. His 2017 finished singing the role of Eisenstein in Die Fledermaus with Fargo-Moorhead Opera and Germont in La Traviata with Indianapolis Opera. 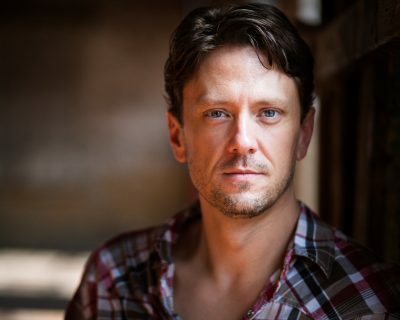 In 2018 he makes his Chicago Opera Theater debut as John Cree in Kevin Puts and Mark Campbell’s opera Elizabeth Cree followed by return engagements with Boston Lyric Opera singing the role of Mac the Knife in their production of The Threepenny Opera and as the soldier in David T. Little’s Soldier Songs with Beth Morrison Projects and Fargo-Moorhead Opera. This fall he sings Sam in Trouble in Tahiti and a 50th anniversary gala concert with Fargo-Moorhead Opera. Furture seasons include return performances in New York with The Prototype Festival and Time’s Arrow Festival as well as with Fort Worth Opera singing the role of El Gringo in the world premiere of La Reina. A champion of new music, Christopher has created roles in 13 world premieres to date. Some of those roles include Orsen in Edwin Penhorwood’s Too Many Sopranos with Cedar Rapids Opera Theatre, M. Carré-Lamadon in Stephen Hartke’s The Greater Good with Glimmerglass Opera, Justin in Anthony Davis’ Wakonda’s Dream and Baritone Soloist in Paul Moravec’s Blizzard Voices, both with Opera Omaha, Jack Absolute in Kirke Mechem’s The Rivals with Skylight Opera Theatre and the Soldier in Paola Prestini’s Oceanic Verses at The Kennedy Center. He has also participated in the revival of several 21st century works including the oratorio Restless Mourning by Anthony Davis and the roles of Braxton and Sherrin in Sir Richard Rodney Bennett’s opera The Mines of Sulphur. Widely sought after for his concert work, Christopher has appeared with many of the country’s finest Bach festivals including the Carmel Bach Festival, Boulder Bach Festival, Louisville Bach Society and Bethlehem Bach Festival where he sang Bach’s B Minor Mass as part of an Emmy winning national PBS broadcast entitled “Make a Joyful Noise”. Other concert highlights include Handel’s Messiah with the Portland Baroque Orchestra, Beethoven’s Ninth Symphony with the New Hampshire Music Festival, Vaughn Williams’ Fantasia on Christmas Carols with the New York Choral Society at Carnegie Hall, Britten’s War Requiem with both the Louisville Orchestra and Washington Chorus at the Kennedy Center, Vaughan Williams’ A Sea Symphony with Princeton Pro Musica and “So in Love With Broadway”, a concert of musical standards and selections of hits from the music of Frank Loesser with the Omaha Symphony. Christopher can be heard on the Naxos record label in Stephen Hartke’s The Greater Good, Julian Wachner’s Come My Dark Eyed One, Mohammed Fairouz’s No Orpheus and the title role of Bernard Rands’ opera Vincent. Other recordings available include the newly released first complete recording of Mark Blitzstein’s The Cradle Will Rock on Bridge Records as well as Paola Prestini’s Oceanic Verses on the VIA label, David Lang’s The Difficulty of Crossing a Field on the Cantaloupe label and Joseph Summer’s The Tempest on Albany Records. He can also currently be heard on the I-tunes label as part of the “Opera America Songbook”, a recorded collection of 47 songs commissioned by Opera America to celebrate the opening of the National Opera Center.